The launch of the first ever Macintosh computer on 24th January 1984 means that we can celebrate its 25th birthday. This may go widely unnoticed to the general public as the company and co-founder, Steve Jobs, choose not to be nostalgic about the past. 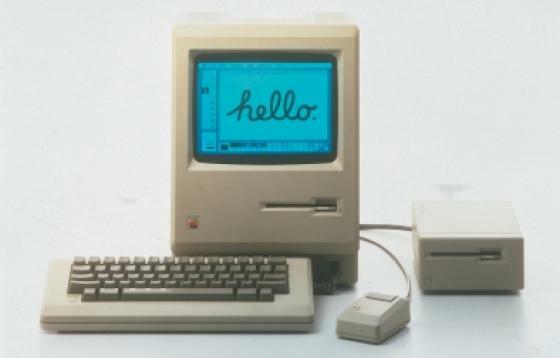 However, as creative people and Apple fans we would like to take the opportunity to celebrate all things Mac and reminisce about the birth of this iconic machine. Launched in 1984 with a TV commercial directed by Ridley Scott (see video) the machine was hugely popular and brought the graphical user interface (GUI) concept to the mass market. The revolutionary machine made the computer back in the 80’s a fun and creative space to work and along with its quirky features, built up its own dedicated community fan base, MacHeads. With a 9 inch screen, upright beige case, separate keyboard and the now iconic one-button mouse, it is reported that the initial production run of machines have the signatures of the design team burned in to the inside of the case. “It's amazing the Mac has lasted so long and had such a positive impact on the world” Macintosh designer Andy Hertzfeld. The Little Thatched Company opens for business! Melon helps new start-up successfully launch their handcrafted garden buildings business. Queen's Jubillee celebrations demand unique graphic design solution.